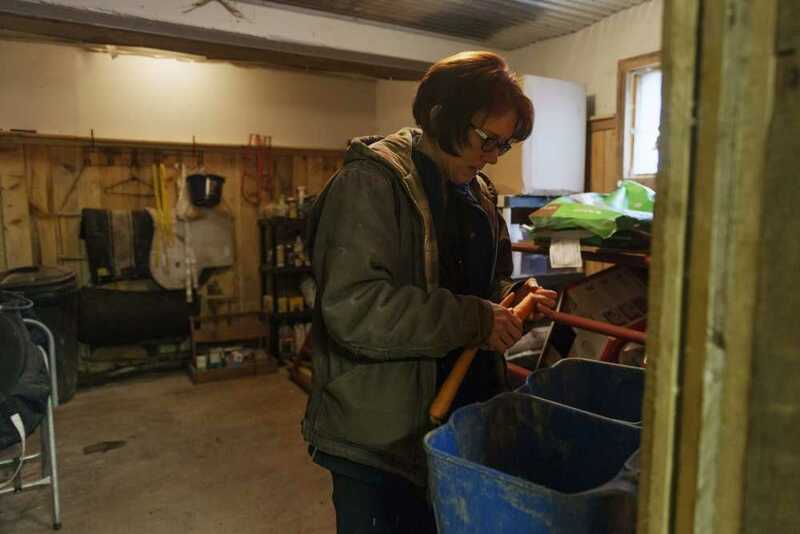 Kelly Povroznik grabs a few carrots from inside her storage space to give to her horses in their pasture outside of Clarksburg, West Virginia. Povroznik teaches an online college course hampered by slow connections on her computer and phone. Kelly Povroznik can tell you, when she happens to get a good signal. She teaches an online college course so hampered by unreliable connections she has had to drive a half-hour to her brother's place just to enter grades into a database. FCC Commissioner Jessica Rosenworcel concedes the agency doesn't know for sure where the needs are most acute, calling it "embarrassing" and "shameful." Disagreements over the data have led to wildly different figures on high-speed internet availability nationwide -- and a growing sense the government just doesn't know. On one end, the FCC says more than 24 million people lack access to broadband at home. On the other, a recent study by Microsoft -- which is pushing its own approach to extending broadband to rural areas -- found 162.8 million Americans don't use the internet at high speeds, a problem pointing to cost of access, as well as lack of availability. All told, only about 20% of the 106 carriers, government and tribal entities who could have challenged the FCC's wireless map data actually did so, according to the FCC. Christopher Ali, an assistant professor of media studies at the University of Virginia, said the looming mapping question leaves the government flailing blindly at a problem preventing it from meeting the needs of rural America. Povroznik knows they exist in Weston, where she had to come up with work-arounds -- including jumping in her car -- to cope with spotty connections disrupting her ability to field questions submitted by students online. She saw some improvement after switching service providers.